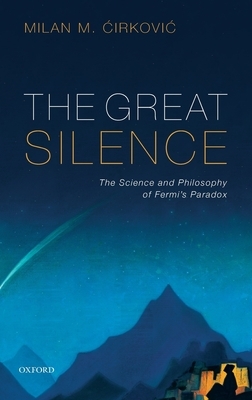 The Great Silence explores the multifaceted problem named after the great Italian physicist Enrico Fermi and his legendary 1950 lunchtime question "Where is everybody?" In many respects, Fermi's paradox is the richest and the most challenging problem for the entire field of astrobiology and the Search for ExtraTerrestrial Intelligence (SETI) studies. This book shows how Fermi's paradox is intricately connected with many fields of learning, technology, arts, and even everyday life. It aims to establish the strongest possible version of the problem, to dispel many related confusions, obfuscations, and prejudices, as well as to offer a novel point of entry to the many solutions proposed in existing literature. 'Cirkovi? argues that any evolutionary worldview cannot avoid resolving the Great Silence problem in one guise or another. Milan M. 'Cirkovi?, Research Professor, Astronomical Observatory Belgrade and Research Associate, Future of Humanity Institute, Oxford University Milan M. 'Cirkovi? is a research professor at the Astronomical Observatory of Belgrade, and a research associate of the Future of Humanity Institute at Oxford University. His primary research interests are in the fields of astrobiology (Galactic habitable zone, SETI studies, catastrophic episodes in the history of life), risk analysis (global catastrophes, observation selection effects, epistemology of risk), and philosophy of science (anthropic principles, philosophy of physics, future studies).